18 holes of golf, food, and fun!!!!! - RESCHEDULED to Sept 21st. Save $20 when you register as a 4-some! 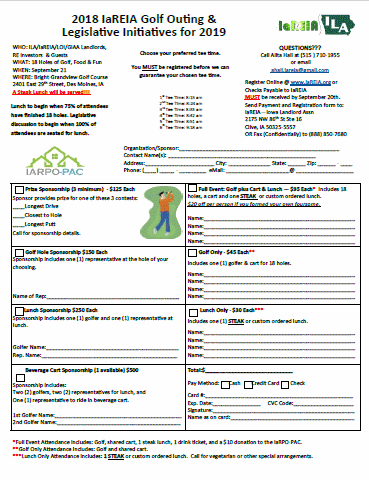 Please print the form, fax, or call Alita @ 515-710-1955 to register. The weather report is great for this Friday morning, so all systems are go, Go, GO!! !